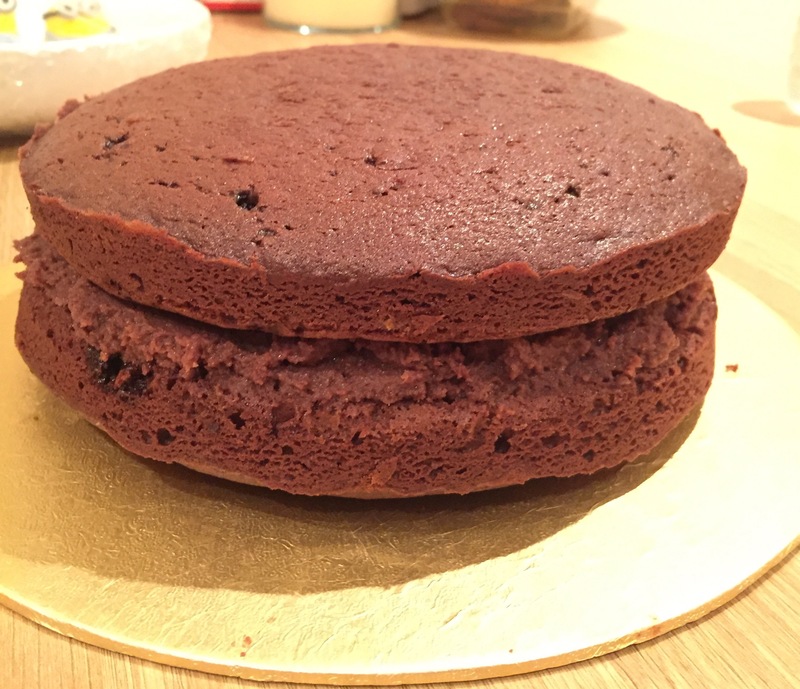 We’ve given you a chocolate cake recipe before – a very dark, decadent adult chocolate cake – so here’s an old favourite I made for 9 year old twins’ birthday party. 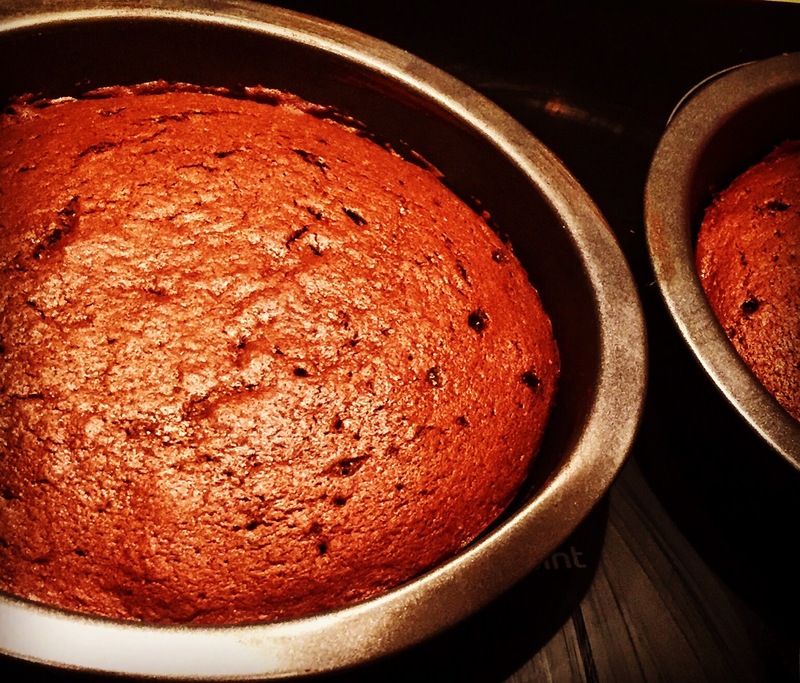 It’s still as moist as that deeply chocolatey cake, but it has less of a chocolatey hit and a much lighter icing, more suitable for kiddies’ palates. 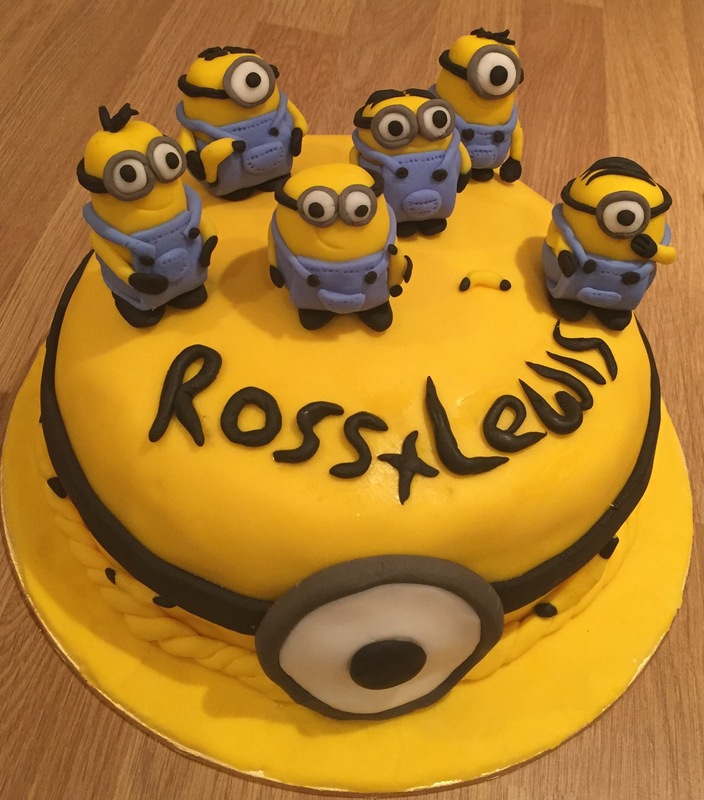 It can be eaten bare, as below, or iced with a slightly fudgier icing, but I dressed mine up in fondant to be a Minions birthday cake as requested. You’ll also need two regular sandwich tins, lined and greased. If you don’t know how to do that, we’ve prepared a handy guide for you! Preheat the oven to 160c fan or 170c non-fan. 1. 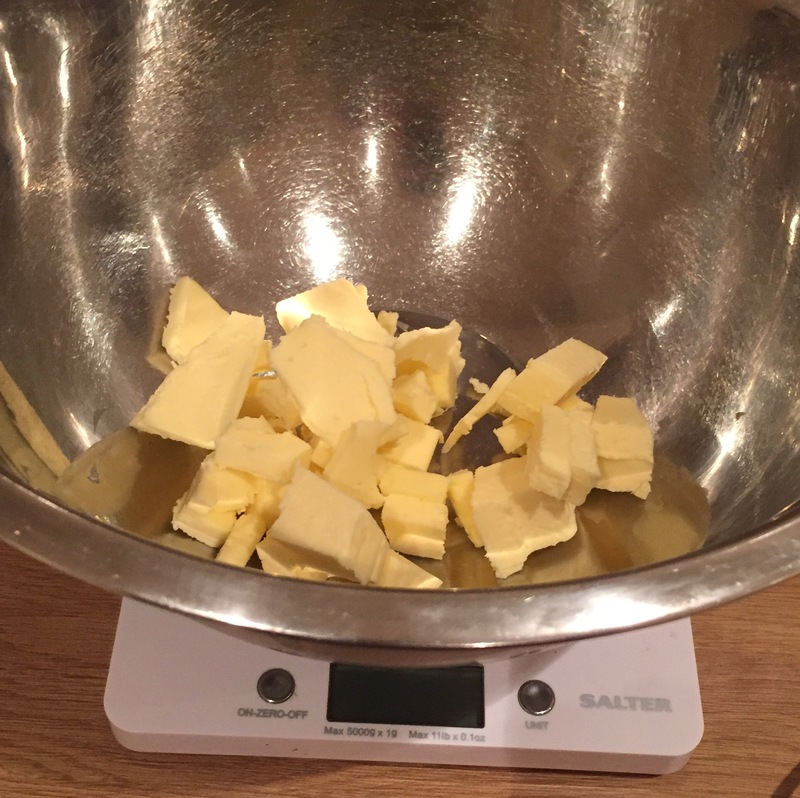 Weigh out the butter, then whisk it up with an electric whisk until light and fluffy. 2. 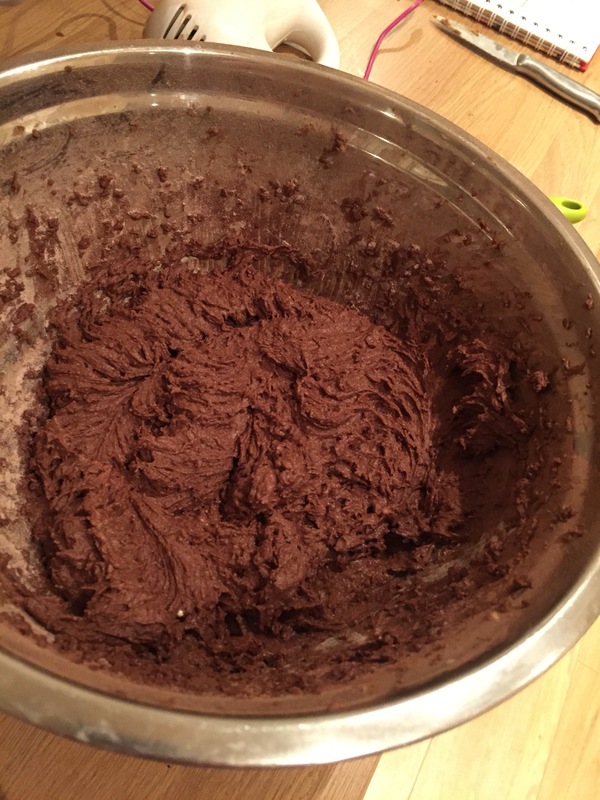 Add the dark brown sugar and whisk up again until even lighter and fluffier. 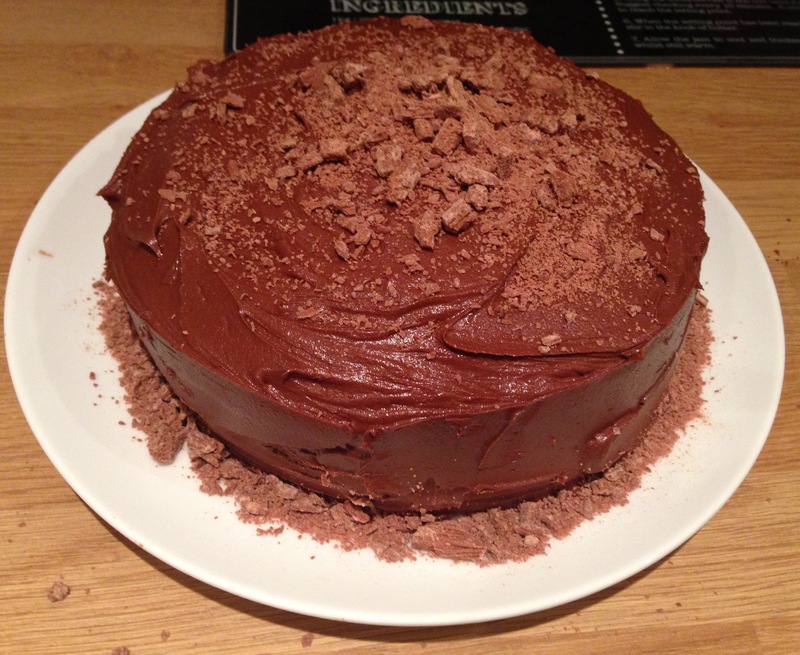 Or as light and fluffy as something this fudgey will get…. 3. 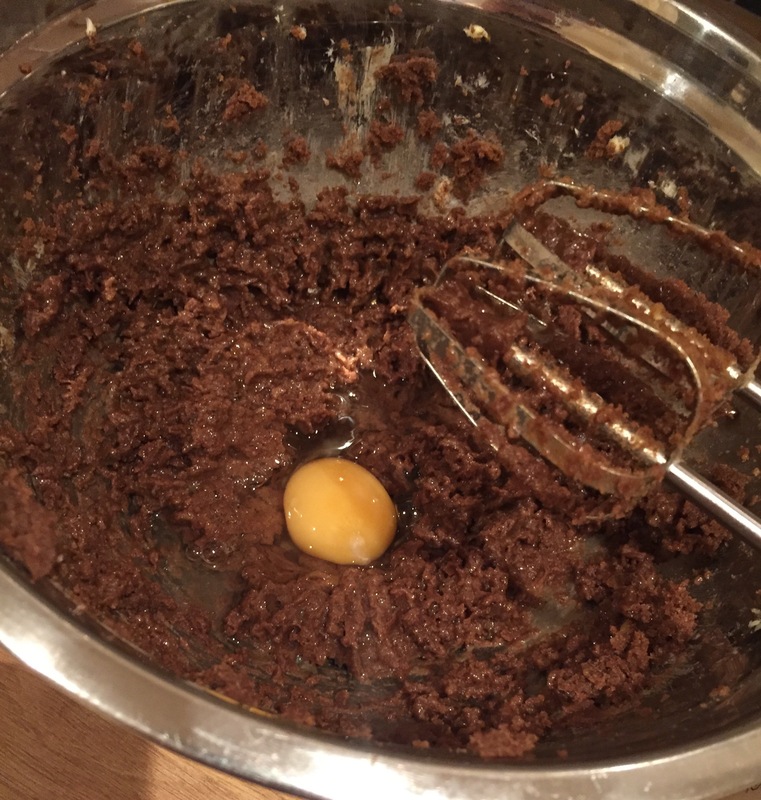 Add the eggs, one at a time, whisking in one at a time. 4. 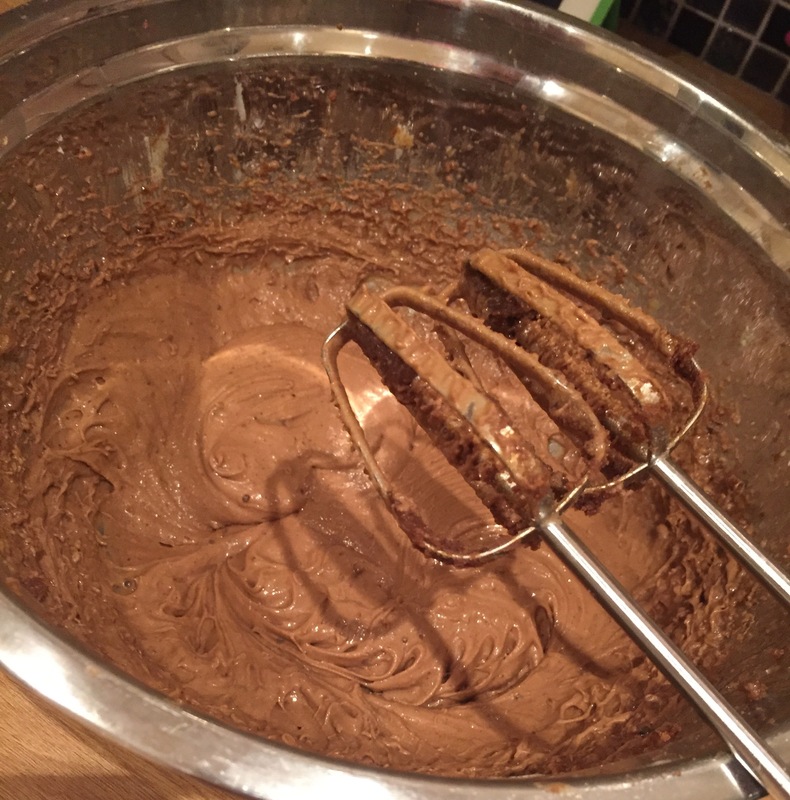 Whisk for a good few minutes until the mixture is really light and airy. 5. Add the sour cream and whisk in. 6. 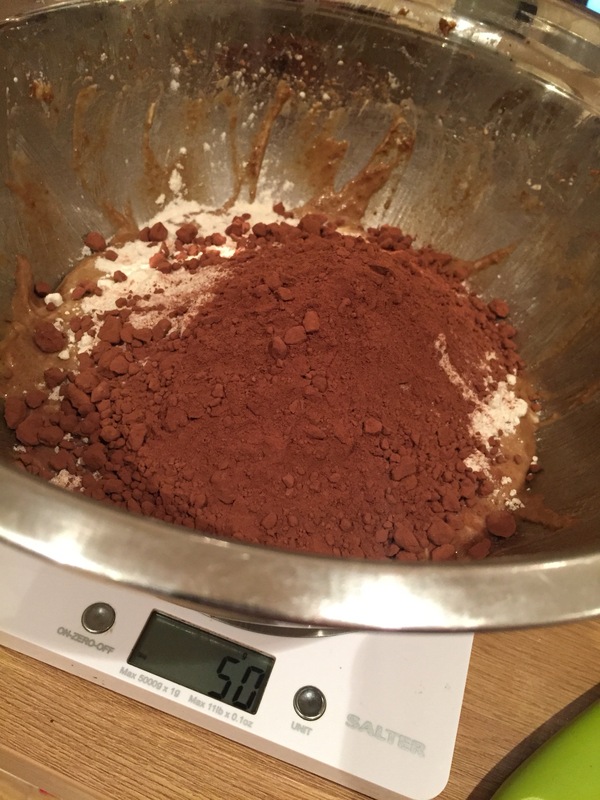 Measure out the flour, cocoa powder, baking powder and bicarbonate of soda. 7. 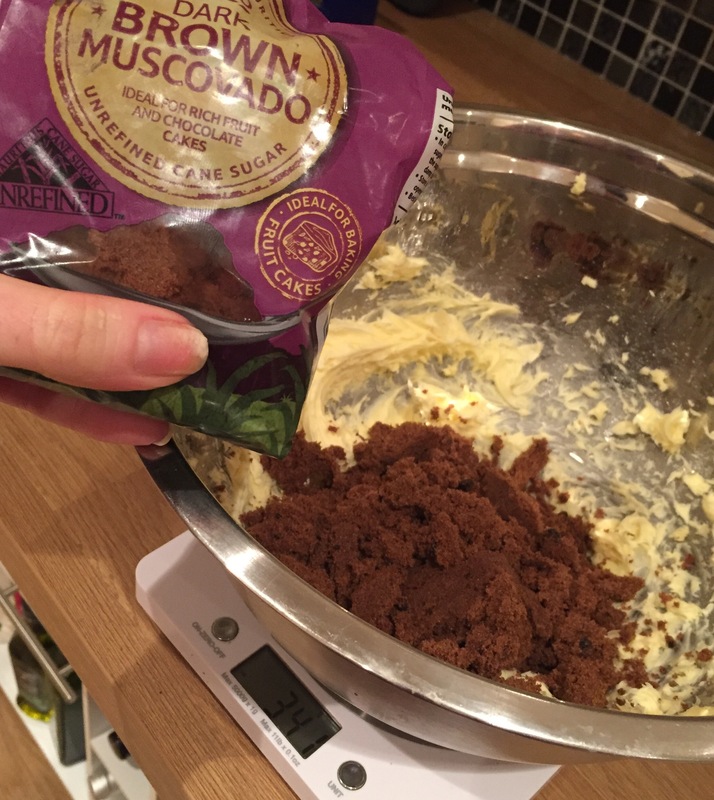 Fold gently into the wet ingredients until just combined so you keep as much air and lightness in as you can manage – don’t panic about how sense the batter is – that’s what will make it moist and fudgey. 8. 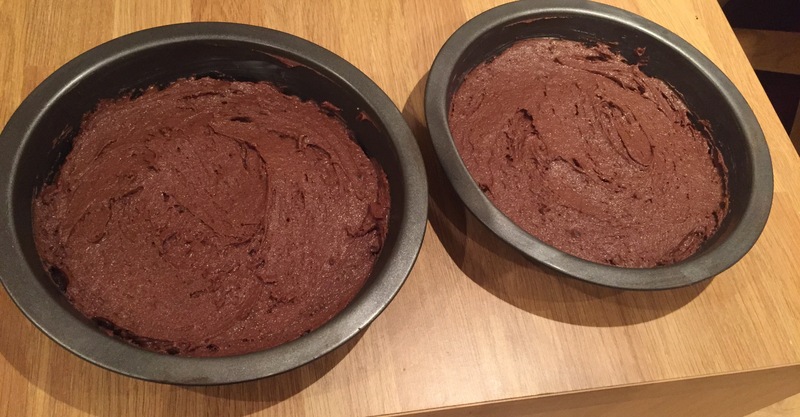 Divide equally between the cake pans and bake in the centre of the oven for around 15 to 20 minutes, or until just springey get when touched and starting to come away from the sides of the tins. Leave for 10 minutes or so to cool a little before turning out (the sponges will shrink a little and be easier to turn out) then remove the greaseproof paper to help the cooling along. 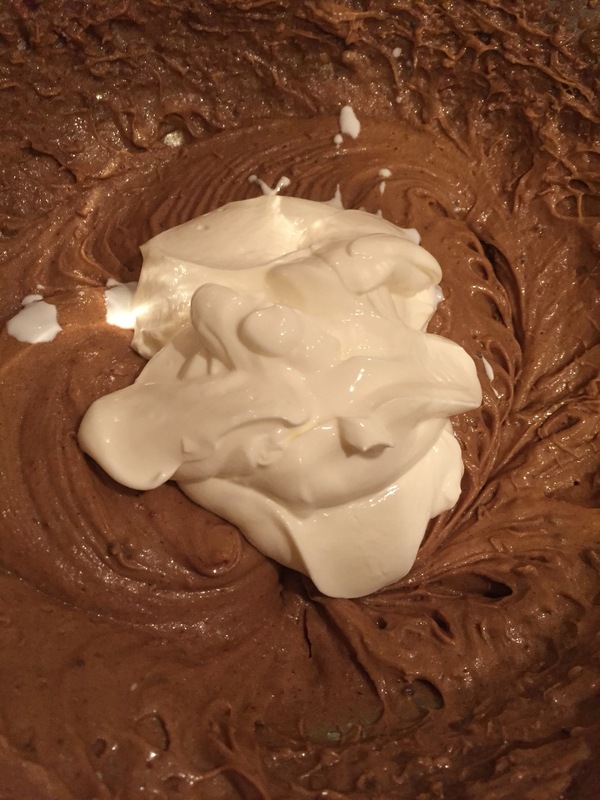 Meanwhile, mix all the ingredients for the butter icing together and whisk up until light and fluffy. 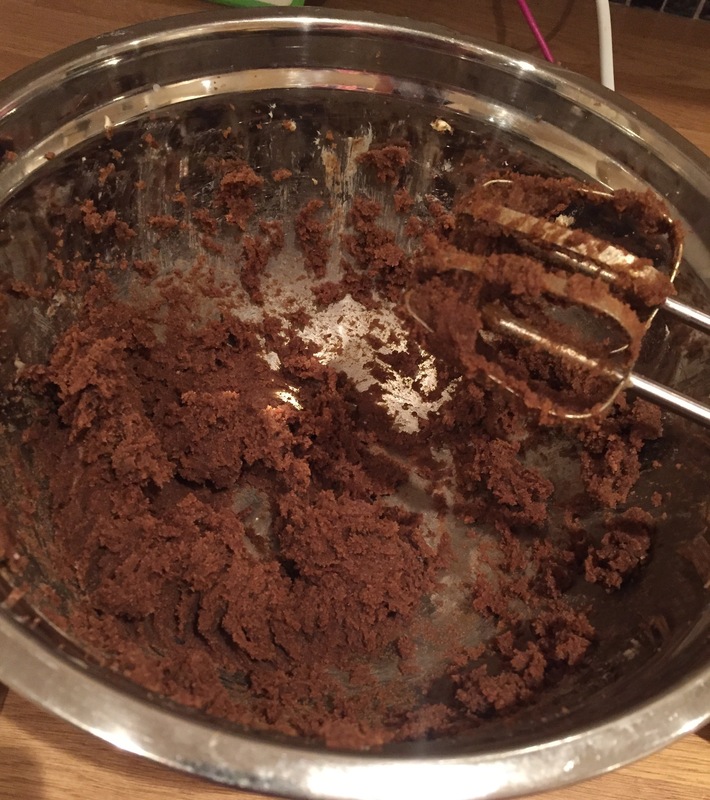 If you give it a cursory mix first, it will help to stop the icing sugar pillowing up and covering your kitchen. Spread evenly over the lower sponge and put the other sponge on top. Now you have options! 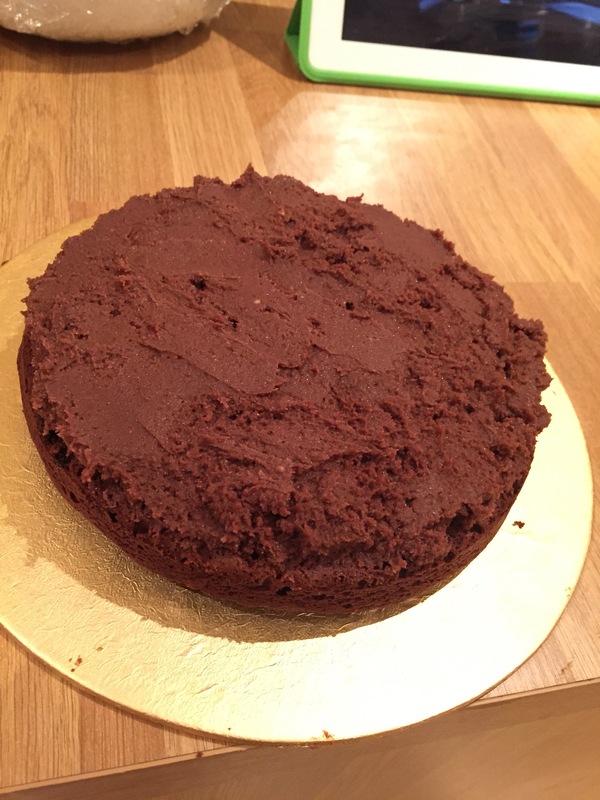 You can either cover the cake with the chocolate fudgey icing by warming the cream, melting the chocolate into it and adding the cocoa powder) and it’s good to go (it can be decorated with maltesers, chocolate buttons or whatever you fancy. 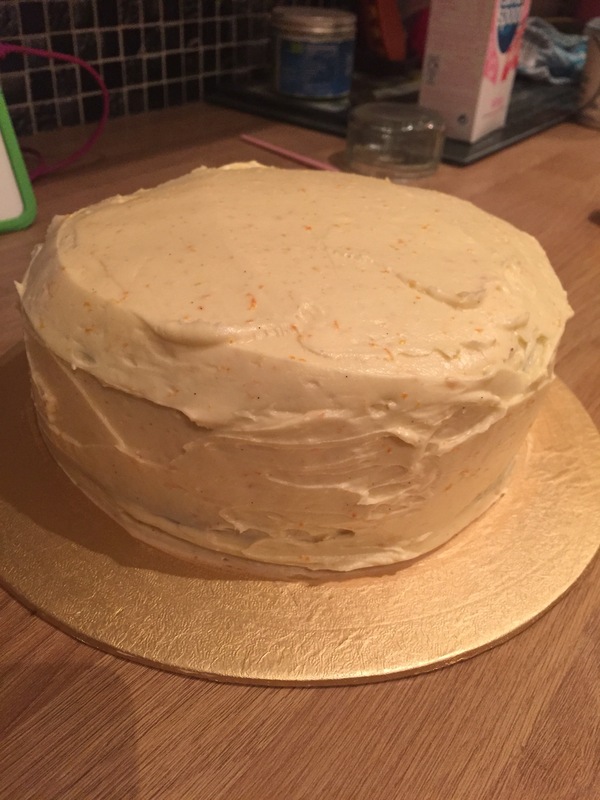 Or you can leave it un-iced if it’s just for general eating rather than a celebration. I iced it instead with orangey buttercream and fondant to make it into a minions birthday cake.